RNA works in tandem with DNA to produce the proteins needed throughout the body. DNA contains a person's hereditary information, and RNA delivers the information's coded instructions to the protein-manufacturing sites within the cells. Many RNA molecules do not encode a protein, and these are known as noncoding RNAs. Secondary structures are the base-pairing interactions within a single nucleic acid polymer or between two polymers. 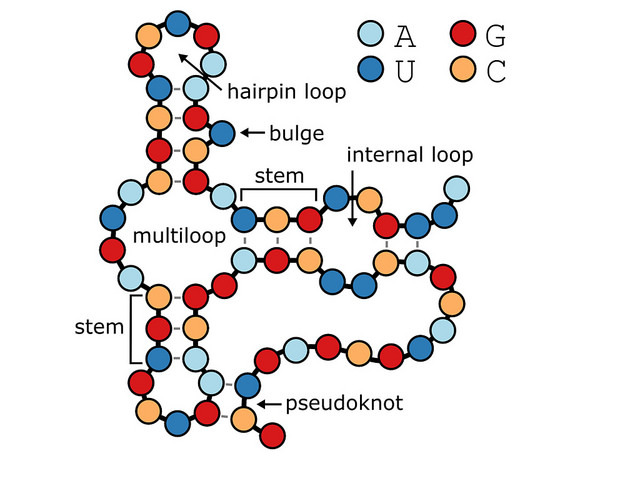 DNA has mainly fully base-paired double helices, but RNA is single stranded and can form complicated interactions. Dr. Hendrix remarked that the bpRNA program features the largest and most detailed database to date of secondary RNA structures.